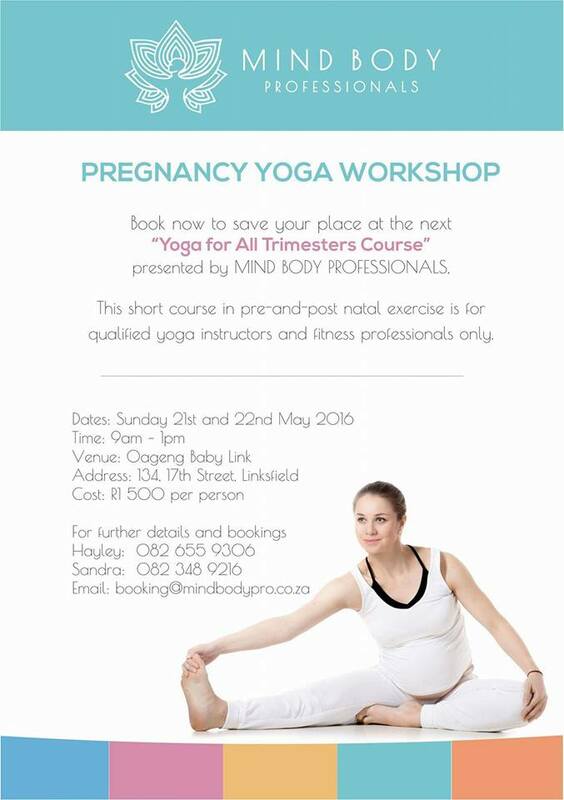 Please see attached flyer regarding the next “Yoga for All Trimesters Course” – Our New Baby! – proudly brought to you by MIND BODY PROFESSIONALS. The course is offered over two days in May and will qualify you as a pre-and-post-natal specialist instructor. The course is REPSSA accredited with 6CPD’s and is a specialist continuing education course for qualified yoga instructors and fitness professionals. Empower yourself with knowledge and practical experience to train your clients/ students and friends through each of the trimesters and beyond.